Drug tests, testing, hair, urine, blood, saliva, length of time in system, positive, amphetamines, barbiturates, benzodiazepines, cocaine, Ecstasy (MDMA), hydrocodone, hydromorphone, marijuana, methadone, methamphetamines, opiates, PCP, oxycodone. Story for the May 2016 Memphis Lawyer, publication of the Memphis Bar Association. Citation: 33 Memphis Lawyer, 4 (2016). Copyright 2019 Memphis Bar Association and Miles Mason Family Law Group, PLC. Reprinted with permission. 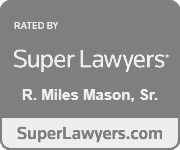 By Miles Mason, Sr., Esq. and Laura Valade, Esq. There is so much Tennessee family lawyers should know about drug testing a client, the other party, or the client’s children. Parents and spouses need to know, too, that the judge can order drug testing for a number of reasons in divorce, legal separation, annulment, child custody determination, or grandparent visitation. Because substance abuse is always possible, so is the need for drug testing. Some parents or spouses may have a criminal record for DUI or drug possession. Even more people may be drug or alcohol abusers, but have no arrest record. Yet they still do drugs or routinely drink to excess. Some may have a history of mental health problems which can be exacerbated by illicit drug use, prescription drug use for non-medical reasons, and over-consumption of alcohol. Functional alcoholics and functional drug abusers live and work among us, at least until the bottom drops out. (Seldom are they as “functional” as they believe themselves to be.) Attorneys and clients alike know anecdotally and from personal experience that drug and alcohol abuse can destroy marriages and ruin relationships. Statistics bear this out. Nearly 68% of all adult illegal drug users are employed, as are most adult binge drinkers and heavy alcohol users. See Drug Testing and Workplace Issues, Nat’l Institute on Drug Abuse (NIDA). 1 out of every 6 workers has a drug problem. Absenteeism among workers who abuse drugs is 16 times higher than among abstaining workers. Workers who abuse drugs are 1/3 less productive than those who abstain. 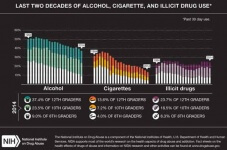 7% of 8th graders and 35.1% of 12th graders used marijuana/hashish in the past year. 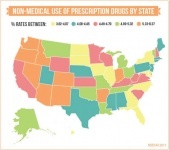 8% of 12th graders used Vicodin for non-medical purposes in 2014 (down from 9.7% in 2009). 8% of 12th graders reported using synthetic cannabinoids (K2 or Spice) (down from 7.9% in 2013). What does that mean for drug testing in family law cases? If one of every six workers has a drug problem and over 35% of high school seniors use marijuana or hashish, then every family lawyer must be prepared to handle drug-related issues and drug testing during client representation. Drug addiction necessitates drug testing in almost every affected family law case. Family lawyers should be vigilant to the possibility of drug abuse by the client or by someone residing in the client’s home. In Tennessee divorce law, abuse of narcotic drugs is grounds for divorce. Allegations in the Complaint of a spouse’s substance abuse as grounds for divorce may necessitate drug testing to prove or disprove those allegations. For example, a positive test result for cocaine, a narcotic, may be used as evidence establishing marital fault. Other grounds for divorce may also be rooted in habitual drug abuse, including abandonment, indignities, inappropriate marital conduct, even adultery. Grandparents may have drug problems, too. When the grandparent with a drug abuse problem seeks visitation, the court may order supervised visitation, drug testing, or both. A parent’s drug abuse is a child custody factor for the court to consider in determining legal decision making authority, parenting time, and primary residential parent (PRP) status. But there are other issues to consider, too. The court may consider either parent’s drug addiction or habitual abuse as creating an unsafe environment for the child. 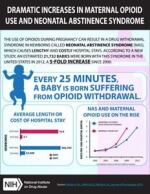 What about the pregnant woman addicted to drugs? Should she be drug-tested during her pregnancy? After the child is born, the court may order random drug testing for the mother to retain custody. If the other parent is awarded custody and PRP status, then the mother might be awarded supervised parenting time. Children, particularly teens, are affected by their parents’ divorce and may seek refuge or solace in drugs or alcohol. Young people often lack coping skills necessary to get through the family break-up. Lawyers should prepare clients for this possibility and the potential need for child counseling coupled with drug testing. Changed relationship with family or friends. Mood changes or emotional instability. Withdrawal or depression; uncommunicative mood. Periods of sleeplessness or high energy, followed by long periods of sleeping. Absenteeism or loss of interest in school or extracurricular activities. Failure to fulfill responsibilities at school or at home. 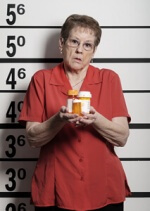 Disappearance of prescription and over-the-counter drugs, as well as alcohol or money. Personal appearance, habits, or action changes. Poor hygiene and personal care. Track marks on arms or legs. In Tennessee divorces or child custody cases, there may be court-ordered drug testing. Which means the family lawyer may need to obtain an expert on drug testing. Finding the right expert witness may be crucial to the client’s case, regardless of the party tested (sometimes both). What should the family lawyer look for in the drug testing expert’s professional credentials? 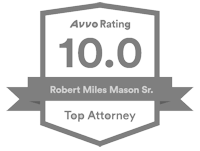 In the courts of Shelby County and elsewhere in Tennessee, Kelly Dobbins (MA, R-CPCT, BAT) is well-known as one such expert witness. 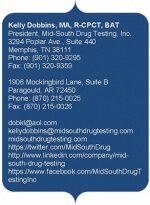 Dobbins is president of Mid-South Drug Testing, Inc. In 2015, Mid-South celebrated its 11th year in business with locations now in Memphis, Tennessee, and Paragould, Arkansas. A professional witness must have the requisite credentials to testify as an expert in his or her field. Specifically, Dobbins is a certified Drug & Alcohol Testing Industry Association (DATIA) regional trainer. Her B.A. and M.A. degrees are in criminal justice and her subjects of expertise are criminology, forensics, and drug and alcohol methodologies. She’s been in this business for over two decades and is a sponsor of the Memphis Bar Association this year. What samples are collected for the different drug tests? Breath and blood are commonly collected to test for blood alcohol content (BAC). With drug testing, saliva, urine, hair, nails, or sweat may be used. Family lawyers should know which drug tests are preferable in certain situations. By way of example only, saliva collection may be best for a child being drug tested, whereas urine collection may be best for an adult. Not only will Mid-South Drug Testing help the family lawyer determine which technology is best suited for the circumstances, Mid-South also offers in-house, instant urine and saliva drug-screening, among other services. Family lawyers need assurance as to the accuracy of all drug test results before using as evidence for or against a party. Mid-South sends all non-negatives to an SAMHSA-certified lab for confirmation. For additional assurance, test results can be reviewed by a Medical Review Officer. The attorney should know which drugs the facility has capacity to test. Learn enough about the different categories of drugs to ensure that the testing facility can test samples for a broad array of drugs. Understand the interplay among drugs, generally. Perhaps the most obvious being prescription and nonprescription narcotics mixed with alcohol. Combining illicit drugs with psychiatric medications (by way of example only, using synthetic cannabinoids with antidepressants), or some other combination, may be detrimental to behavioral health and impair physical wellness. Even prescribed drugs, when taken in combination, sometimes have an impairing effect on mind and body. Lawyers should know drug detection tests, methodology, and the length of time a particular drug will test positive in a particular test. How are samples collected? Urine, blood, hair, saliva, fingernail, sweat – clearly, some methods are more intrusive than others. “Urine testing is still the cheapest, it’s still what we call the Golden Standard” because it has been around for so long, laughs Dobbins. Urine tests can be used to detect THC, PCP, propoxyphene (PPX), cocaine, opiates, amphetamines, methamphetamines, methadone, benzodiazepines, oxycodone, barbiturates, and ecstasy (MDMA). Some tests can detect multiple drugs, others detect only one or two drugs (for example, a single panel vs. an extended panel urine test). See //www.craigmedical.com/drugtests.htm. Every drug test comes in the form of panels. Each panel checks for a specific drug. A standard 5-panel urine test, for example, commonly tests for opiates, PCP, THC, cocaine, and amphetamines. A 10-panel urine test checks for 10 types of drugs (add methamphetamine, barbiturates, benzodiazepines, methadone, and PPX to the list, for instance). A 12-panel urine test can add MDMA and extended opiates to the list (an “extended” opiate panel checks for more classes of opiate drugs). The 15-panel hair strand test, for example, may add meperidine, tramadol, fentanyl, sufentanil, and ketamine to the list. With an extended panel, 15-panel and 20-panel tests for example, normally what is extended are the opiates, and the cost of testing goes up accordingly. Dobbins explains, “you’re still testing for amphetamine … cocaine … codeine, morphine, and heroin, you’re still testing for PCP and marijuana.” But the rest of the panel is usually given over to opiates. Here’s how Dobbins describes hair and urine testing (methodology may differ): “You have a screening test… it’s looking for anything that might show up within those drugs [being screened for]. If something shows up, then it goes into a different methodology which is a confirmation test.” There needs to be enough hair to get through the screening test and, if positive, be further confirmed. Once confirmed, any hair sample left that has not been tested is on file for a year. The same with urine. “In drug testing, a screening test is just that, a screening test,” she continues, “if anything shows up in the screening test, then you’re going to confirm it using a different methodology. Typically, in urine it’s gas chromatography/mass spectrometry (GC/MS).” Hair is a little different, so liquid chromatography/mass spectrometry (LC-MS-MS) is often used, the same as with saliva. A fingernail/toenail test with a detection window of 90 days or longer (for amphetamines, cannabinoids, cocaine, barbiturates, methadone, hydrocodone, opiates, oxycodone, PCP, and others) might be used when an adequate hair sample is unobtainable. See //www.asuretest.com/nail.php. “Saliva is the newest methodology,” continues Dobbins, and is “your shortest window of detection.” There are instant saliva tests and lab-based saliva tests. If the instant test is positive, then it has to be sent off to the lab. Saliva used for on-site drug testing of common illicit drugs (as an alternative to urine testing) may detect methamphetamines, cocaine, THC, opiates, and benzodiazepines all depending upon the saliva test utilized. Even alcohol is included with some saliva tests. Know the longest window of drug detection needed, especially if results could be used as evidence in court. “There are reasons to use different tests,” reminds Dobbins, “it depends on what you want to know, how much you want to know.” The more information the lawyer has, the more helpful it will be for the testing facility. For instance, Mid-South Drug Testing utilizes a hair test that provides a five-day to 90-day window of detection; saliva test with a four-hour to 48-hour window of detection; and urine test with a one-day to three-day window of detection. If the lawyer is looking to establish a long-term pattern of drug abuse, then hair testing may detect a pattern of repetitive use for up to 90-days. The hair on a person’s head grows by about ½ inch per month. By cutting the hair sample at the scalp and testing the first 1½ inches from the root end, the period tested is 90 days. Drugs deposit in the person’s hair through several methods: the principal method is transmission from the blood supply, secondly through perspiration and skin oil, and, lastly, by external deposit as with environmental smoke (likely from the person’s own ingestion). Drug tests vary considerably, as do drug testing facilities. Mid-South Drug Testing can test for alcohol, amphetamines, barbiturates, benzodiazepines, cocaine, Ecstasy (MDMA), hydrocodone, hydromorphone, marijuana, methadone, methamphetamines, opiates, PCP, oxycodone and oxymorphone, propoxyphene, ticyclic antidepressants, and other synthetic opiates. Random drug testing of a client’s child is also possible. Some schools may randomly test a student suspected of alcohol or drug use, typically a breathalyzer, hair, or urine test. Tennessee public schools are no exception. School authority to conduct random drug tests falls under the reasonable suspicion or reasonable cause standard. The school need only have reasonable grounds to suspect that the drug test will evidence a violation of school policy or rule. The school does not need a search warrant so long as the student is at school or is at a school-sponsored event. In Dobbins’ experience, the public schools around Memphis are not drug testing here now, although they have in the past. At that time, it was only the students involved in extracurricular activities who were tested (sports, band, cheerleading, and the like). Cost of testing is a big factor for schools, among other issues. “The Catholic schools here all do hair testing. Hair testing is great, except for it starts somewhere between day five and day 10 and goes back 90 days,” which may not be the right window. Do you really need to know if that child used drugs that long ago? Dobbins suggests saliva testing in the school setting. To parents, “if you think there’s a problem, you need to drug test your kid,” says Dobbins, confirming that most over the counter drug test kits are fine for home use. For testing to be useful, family lawyers need to know what drug is being used and how the person is using it. “You can’t be generic with drug testing, you have to be very specific,” says Dobbins. What are you looking for? What are you trying to prove? Then choose an appropriate test or test combination. With video evidence of a spouse smoking a joint, for instance, “we don’t know if he’s smoking marijuana or not. With synthetic marijuana, you have to specifically ask for that test” and it can get expensive. For tests to be useful, know exactly what drug is being tested for. “Especially with opiates,” says Dobbins, “there are so many different opiates and they’re pretty much all their own class.” For example, testing for hydrocodone is not the same as oxcycodone. “When you just say ‘opiates,’ you’re talking about morphine and codeine and heroin, but not the other things that it could be.” That a person may be on pain killers is not enough information. You need to know precisely what kind of pain killers. Lawyers need to know how often the person is using. Occasionally? Weekly? Daily? Hourly? Dobbins describes that, “in hair, if the person is an occasional marijuana smoker, more than likely it’s not going to show up.” But in urine, a joint smoked two to four weeks ago could still be in the person’s system because it binds to fat cells. Lawyers should also be aware that some people will attempt to cheat the drug test, too, and many are very good at it (particularly with marijuana testing). Child support, alimony, payment of debts following divorce, these can be negatively affected by one spouse’s drug or alcohol problem. In fact, unless the parent or spouse receives treatment and counseling along with drug testing, the lawyer can probably count on it. How will the parent regularly pay child support if his or her job status is always in flux? How will a former spouse pay alimony if he cannot maintain employment? Many employers have workplace substance abuse programs and require drug testing as a term of employment. Once hired, the employee is subjected to periodic random drug testing to help maintain a safe work environment for all employees and customers. Additionally, a jobsite accident is cause for drug testing. At the workplace, substance abuse can mean missed raises, poor work performance, suspension, and termination from employment. This is a downward spiral for most adults. Opportunities for advancement become increasingly limited. The person’s ability to make alimony payments, pay child support timely, and pay the debts allocated in divorce may be foiled. Family attorneys need to insert whatever safeguards they can to protect the client and the child, regardless of whether that client is the payor or payee. A spouse’s narcotic drug abuse is grounds for divorce. It is also marital misconduct, a factor for the court to consider in awarding alimony in Tennessee. Evidence of a spouse’s addiction could also explain why a spouse is economically disadvantaged. The spouse seeking alimony may find the award reduced because of drug abuse with drug testing made a condition of continuing alimony (for example, drug testing as a condition of rehabilitative alimony). One spouse’s drug addiction often results in dissipation of marital assets. In the division of property in divorce, waste could result in the innocent spouse exiting the divorce with more property than the drug-addicted spouse. 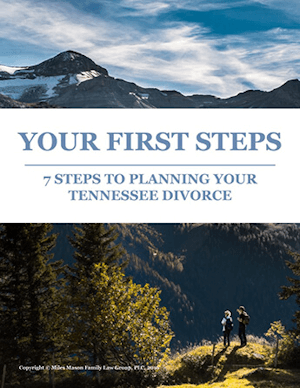 There are always exceptions, but family lawyers should be ready for marital waste to be factored into the division of assets and debts in Tennessee divorce. Lastly, drug abuse is often a culprit in domestic violence and child abuse. Family lawyers should always be ready to direct clients who are victims of domestic violence to area services. The lawyer should explain how an order of protection is obtained and where to get safe shelter information. Once client and child are out of danger, discussion may commence about the possibility of drug-testing the other parent as a condition of parenting time, along with counseling and rehab. No reasonable person wants to set a spouse up for failure. But that’s what can happen when drug addiction is ignored or hidden. Face drug abuse issues squarely. Always consider how drug testing can be used to benefit the individual, the other party, and the child. Think about how drug testing should be implemented during the court proceedings and thereafter. What drug testing facility will be used? What testing methods? How often will testing occur? Who will pay the cost of testing? How long will testing continue? Who is entitled to the test results? What can the test results be used for? What will be the consequences of a positive test? Set the stage so that both parties have the best opportunity to maintain regular employment so they can pay child support, can make alimony payments, can continue with parenting time, and can avoid defaulting on debts assigned in the divorce. Attempting to minimize the severity of addiction seldom benefits the client or the other parent. And certainly does not serve the best interests of the child.